Irene (San Francisco, United States) on 30 November 2018 in Cityscape & Urban and Portfolio. May I cropped this image to much. 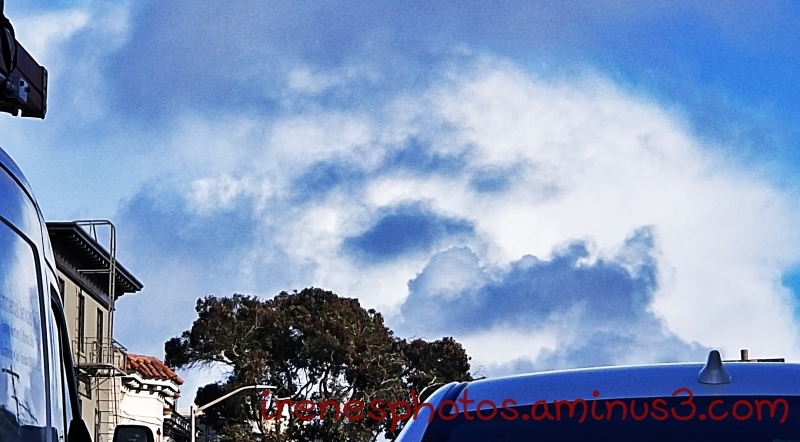 While I was waiting at the traffic light, I decided to take a photo of the beautiful clouds. Nice colors in this image. Indeed . . there is so often beauty if only we stop to look . . and see. A very nice capture of the sky. yes they look lovely..There's one smiling at me ! Superb capture of the sky !